Left: Matthew Schroeder, 18, was born with cystic fibrosis, a condition which causes his lungs and pancreas to secrete thick mucus which blocks passageways in his body. He was sentenced to Dozier after running with the wrong crowd and getting busted for pot, burglary and larceny. Schroeder claims he was sick for the first 65 days he was at Dozier and his illness dismissed by the staff. Schroeder was told the only thing they could give him to help was Malox. 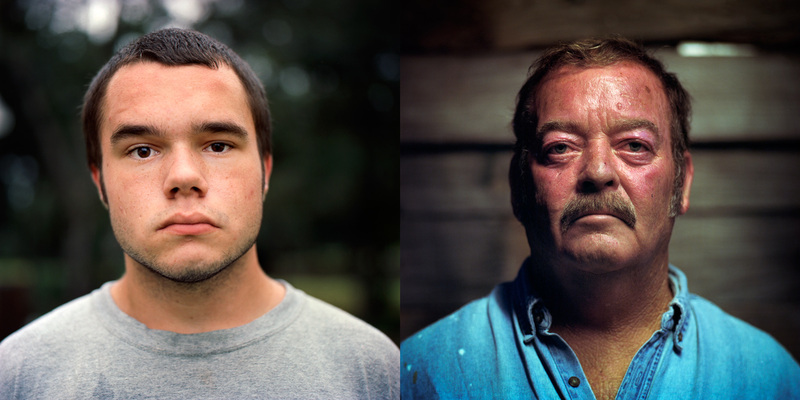 Right: Joe Schoffner, now an alcoholic, photographed at his home in Crestview, Fla. decades after his release from the Florida School for Boys.